5,000+ Scholarships for High School Seniors 2019 | March Update. 10 Scholarships for High School Seniors… Many high school seniors will wonder if there are available scholarships for them as they take on a new adventure into college. The assurance is that there are scholarship opportunities available for you. As you are making plans on what college you want to attend and what major you want to study, be sure you add “applying for scholarship” to your college to-do-list. In order to make the work easier and simple for you, there is a compiled directory of top 10 scholarships for high school seniors just for you. These scholarships are generally flexible (so you’ll be able to use them at any accredited college you attend), and they also don’t have any geographical restrictions (so you’re eligible to apply no matter where you live). Aside from grants and loans, private scholarships are some of the best ways to help fund your college education. 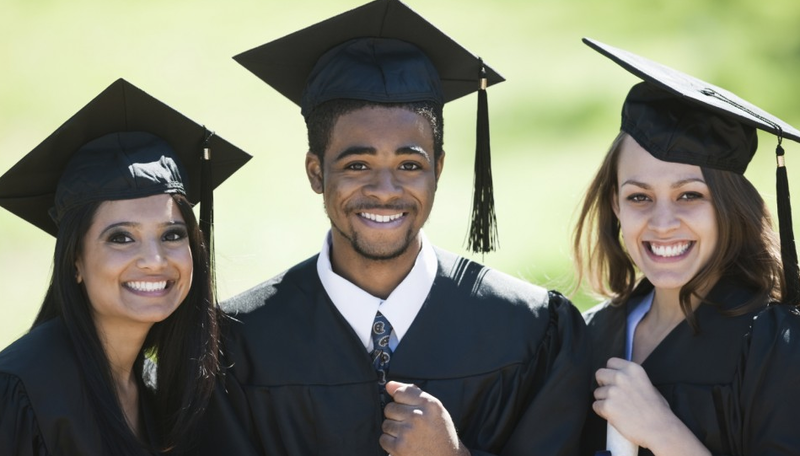 There are thousands of scholarships out there for high school seniors, all with different eligibility requirements, deadlines, and award amounts, so it’s definitely worth your time to do some research. Students compete for this award by writing an essay on one of three topics related to Ayn Rand’s book The Fountainhead. The first-place winner will receive a grand prize of $10,000. Runners-up also receive awards. Each year a total of $22,500 is given out in prize money. Students compete for this award by writing an essay on one of three topics related to Ayn Rand’s novel Atlas Shrugged. The first-place winner will receive a $25,000 prize. Runners-up also win prizes, and a whopping $40,000 in scholarship money is awarded annually. Are you a good public speaker, or do you just want an excuse to hone your public-speaking skills? Then this competition would be a good fit for you. Students compete for this award by preparing and performing a three- to five-minute oration on some aspect of the US Constitution. You can view this year’s topics here. This scholarship is pretty unique—and it’s great for students with some untapped artistic talents! Students compete for this award by submitting a photo, piece of artwork, or computer graphic to be used on the front of a greeting card. The winner will receive $10,000, and the winner’s school will also get an award of $1,000. This need-based scholarship is pretty straightforward: it’s awarded to one student each year who demonstrates not only financial need but also impressive academic performance and leadership ability. The annual award winner receives $5,000 per semester of college. Are you a proud vegetarian? This might seem like a niche award, but the scholarship is very real! Applicants are judged on their “compassion, courage, and a strong commitment to promoting a peaceful world through a vegetarian diet/lifestyle.” If you’ve promoted vegetarianism at school or in your community, you’ll likely be a strong candidate for this scholarship. The first-place winner receives $10,000, and two runners-up each receive $5,000. Do you have an extraordinary achievement you’re particularly proud of? This scholarship is for students who have completed an impressive piece of work in the fields of science, technology, engineering, math, literature, music, or philosophy. Scholarship requirements differ based on the type of project, with awards ranging from $10,000 to $50,000. Interested and qualified candidates should note that application is done online by visiting the above official links. If you’re going to go through all the work of submitting a scholarship application, then you want to make sure you have the best chances possible of winning awards. The following three tips will help you submit the greatest number of successful scholarship applications possible. As you’ve probably noticed, many of the above scholarships are fairly generous national awards that’ll likely be quite competitive. Unfortunately, you could be a strong applicant for many of these scholarships and still not win a big award. So what’s a student to do? The reality is that there are countless scholarship programs out there that might be really good fits for your interests, location, background, identity, etc. The more niche a scholarship program is, the better chances you’ll have of winning an award (if you’re a qualified applicant, that is). So do some research on scholarships programs that operate in your area or are offered to students with your particular interests, experiences, skills, or passions. In addition, you could branch out on your own by searching online for scholarships in your area. If you have a particular talent, skill, or interest, look for scholarships that are offered to students based on those criteria. Applying for scholarships—like applying to colleges—is, in part, a numbers game. You wouldn’t apply to just one school if you wanted to optimize your chances of getting into a great college, would you? Many scholarship applications ask similar questions and require similar information, so if you apply to one program, you might as well apply to a bunch. It’s free to apply for most scholarships anyway—all it takes is a few hours of your time. Finally, take advantage of applications that submit you for consideration for many scholarship awards, such as the Horatio Algier Scholarship mentioned above. Scholarship applications are all over the place—there’s no defined “scholarship season” for submission deadlines, but many are due before college application deadlines. As such, it’s better to start your scholarship search sooner rather than later so you don’t miss out on any great opportunities. The summer before your senior year is a good time to start making note of programs that you’re interested in. Keep track of application deadlines by maintaining a spreadsheet that you update regularly. This is especially helpful if applications require you to ask for letters of recommendation; you can make sure to give teachers and mentors plenty of advance notice to write you a letter.